Presentations and discussion: Criminal Justice Contracted Services (CJCS), Office of Economic Development (OED), Budget Legislation, Office of Housing (OH). Presentations and discussion: Department of Parks and Recreation (DPR), Legislative Department. Agenda: Public Comment, Seattle Public Utilities (SPU), Seattle City Light (SCL), Department of Finance and Administrative Services (FAS), Department of Neighborhoods (DON) / Neighborhood Matching Fund (NMF). Councilmember Kshama Sawant hosts a Town Hall on the People`s Budget. 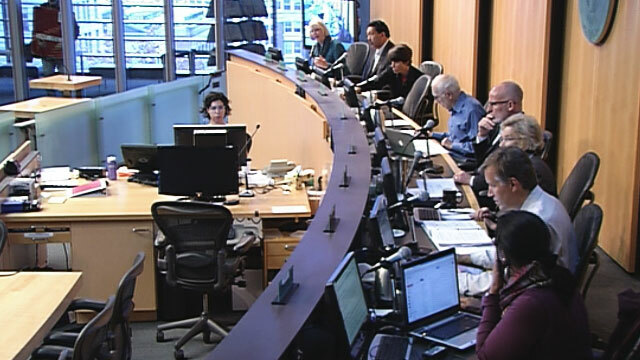 Agenda: Public Comment, Human Services Department, Seattle Department of Transportation. Agenda: Public Comment, Seattle Police Department, Law Enforcement Assisted Diversion/Multi-Disciplinary Team, Seattle Youth Violence Prevention Initiative. Agenda: Public Comment, Department of Neighborhoods, Department of Planning and Development, Office of Arts and Culture, Department of Parks and Recreation. Agenda: First public hearing on Revenue Sources, second public hearing is on the general budget. Agenda: Cross-Cutting Issues and Department without Significant Budget Issues, Office of Economic Development, Minimum Wage/Labor Standards, Interfund Loan Extensions. Agenda: Public Comment, Central Waterfront, Cross-Cutting Issues and Departments without significant Budget Issues. Agenda: Public Comment, Human Services Department, Office of Sustainability and Environment, Department of Information Technology. 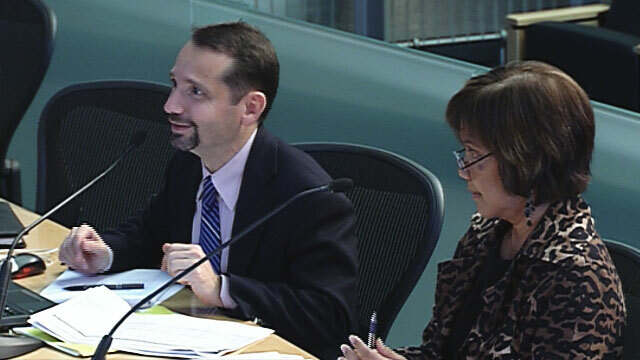 Public hearing of the Seattle City Council`s budget committee. Held at Garfield Community Center on E. Cherry St. Presentations: Seattle Department of Parks and Recreation, Seattle Center, Seattle Public Library, Office of Arts and Culture. Agenda Items: Public Comment, Seattle Dept. of Transportation and Seattle Public Utilities. Agenda: Public Comment, Overview of Mayor`s 2015-2016 Proposed Budget. Agenda: Revenue Update, Budget Process Overview. Agenda: End of Year Close Out, Revenue Update, Public Comment. Agenda Items: Public Comment, Seattle City Light (SCL), Seattle Public Utilities (SPU), General Fund Balancing Package, Budget Legislation, Miscellaneous Statements of Legislative Intent(SLI). Presentations: Office of Economic Development (OED), Law Department, Seattle Department of Transportation (SDOT), Career Bridge. Presentations: Seattle Police Department (SPD), Law Enforcement Assisted Diversion Program (LEAD)and Multidisciplinary Team (MDT), Seattle Municipal Court (SMC), Gender Equality, Seattle Fire Department (SFD).